Third-year forward Sam Reinhart has spent the majority of his first two NHL seasons on Jack Eichel's wing and unless new coach Phil Housley has designs on moving Reinhart to third-line center, having Jack and Sam on the same line seems like a good way to at least start the season. A lot has been made about Reinhart and his place in the 2014 NHL Draft. 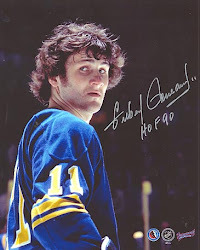 The Sabres drafted second-overall that year and had their pick of the litter when it came to top forwards. Reinhart was the consensus pick amongst the Sabres scouting staff that year. "He was [first] on our list at our organizational meeting in May," said then GM Tim Murray on the draft floor that year. "We've tweaked those lists a couple of times, but we didn't tweak [number] one." The Sabres did pass on Leon Draisaitl (third-overall) who's had a phenomenal two seasons in Edmonton and just signed an 8yr./$68 million contract extension. That will be the shadow Reinhart plays under in Buffalo, but he's also been true to his game thus far an moreoso last season than in his rookie campaign. But it is what it is and although Draisaitl left Reinhart far behind out of the gate, both of these players will have long careers. Reinhart's year-over-year stats say that his 47 points are five better than the previous season, yet nearly every one who watched him on a regular basis would say that he didn't have as good a season in 2016-17. A big part of that comes from his goal total which went down from 23 in his rookie year to 17 last season. He didn't get as many tip-ins on the powerplay as he did in 2015-16 and he couldn't maintain a shooting percentage of 13.9% from the previous season. But goal-scoring is not the main reason Reinhart was taken second-overall in 2014. Although he's been able to score at every level, his hockey IQ and skills as a set-up man is what drew the attention of every NHL scout. Although he doesn't have the pure speed of Eichel and Kane, Reinhart is able to keep up and be a factor because of how he thinks the game. Over the last two seasons under coach Dan Bylsma Reinhart played mostly on Eichel's wing and there's really no reason to switch it at this time unless Housley and/or training camp call for a different direction. 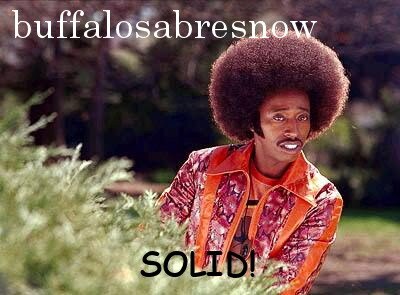 Changes to Buffalo's style of play will be forthcoming as the Sabres are heading into 2017-18 with a new coaching staff. Those changes can affect anyone up and down the line up including Reinhart. But it's not going to matter for him as he'll continue playing his game. That's how he's wired. That's what he learned from his father Paul Reinhart who played 11 seasons in the NHL. It's hard to believe Reinhart has hit his ceiling this early in his career and something tells me that it may be quite a few years down the road until he does. He seems to be the type of player that will be getting a feel for everything and shift through every gear. It's like the race between two cars--one with an automatic transmission, the other a standard. The automatic transmission-driven car is quick out of the start and bolts to the lead while the stick is just doing it's thing, rolling through all the gears. All things equal, eventually the standard catches up. Of note, Reinhart is entering the final year of his entry-level deal and Sabres GM Jason Botterill has said that Reinhart contract extension talks have been put on hold.